Nowadays there is increasing demand in the market for goods, produced from legally harvested wood on the basis of the principles of responsible forest management. The guarantee of compliance with these principles is the international certification of the Forest Stewardship Council®. The FSC mark ensures that materials used in production are legally used for harvesting wood. Methods of sustainable forest management, rights of workers, local residents and indigenous people have been observed. We help save the forest! Supply chain monitoring systems allow to trace every step of processing certified forest products, starting with the purchase of raw materials and ending with its sale. 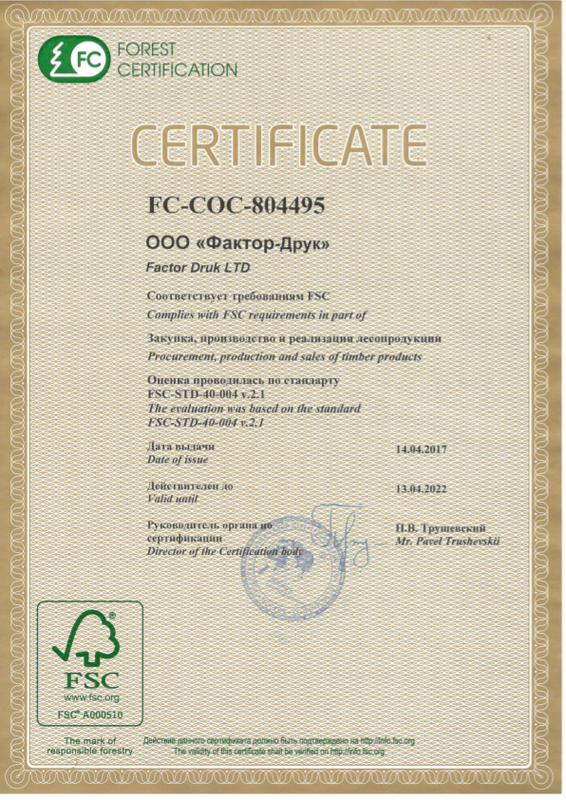 Factor Druk is the holder of the FSC (Forest Stewardship Council®) certificate of supply chain, i.e. 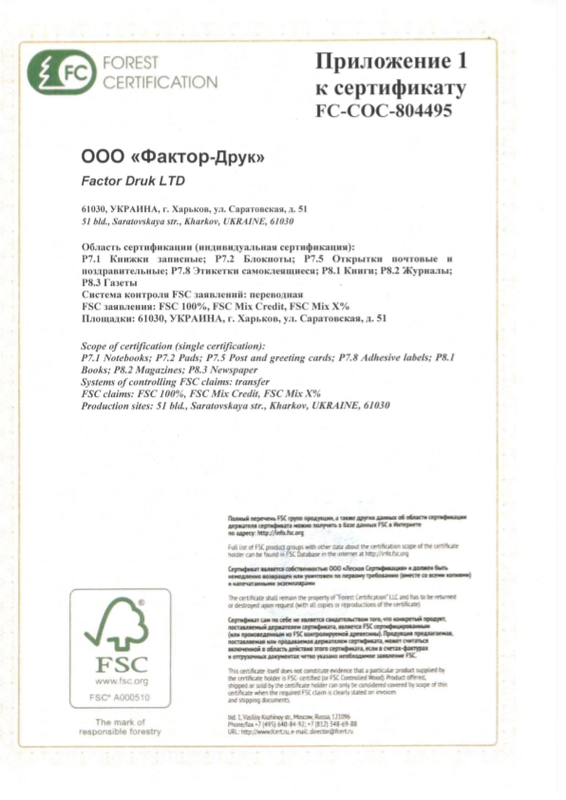 we can make products labeled FSC. As part of the FSC certification, Factor Druk voluntarily accepted and implemented the Declaration on the Observance of Values. The availability of the FSC certificate makes it possible to offer our customers a list of FSC certified products that have a competitive advantage in domestic and international sales markets, and confirms our desire to save forest resources.